LNS Research has found that Industrial Transformation is just like dating: “real commitment” is critical to its long-term success. And yes “real commitment” to Industrial Transformation may be elusive. Let’s see how. LNS Research has been studying Industrial Transformation for quite a while. We were the first to define the term. IX is the proactive and coordinated approach in leveraging Digital technologies to create step-change improvement in industrial operations. 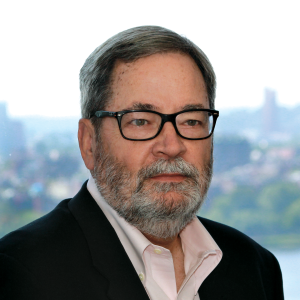 Industrial Transformation is a significant, often the largest, subset of a Digital Transformation Program that includes initiatives outside of the industrial space such as readdressing customer relationships. These programs can go by a range of names: Digital or Industrial Transformation, Industrie 4.0 or Smart Manufacturing. We recently executed an extensive survey on the state of IX globally. The study went to operations personnel, management, and executives across a wide range of industry verticals. We received strong participation from every major geography and companies of all sizes (including over 20% over $1 billion in annual revenues). 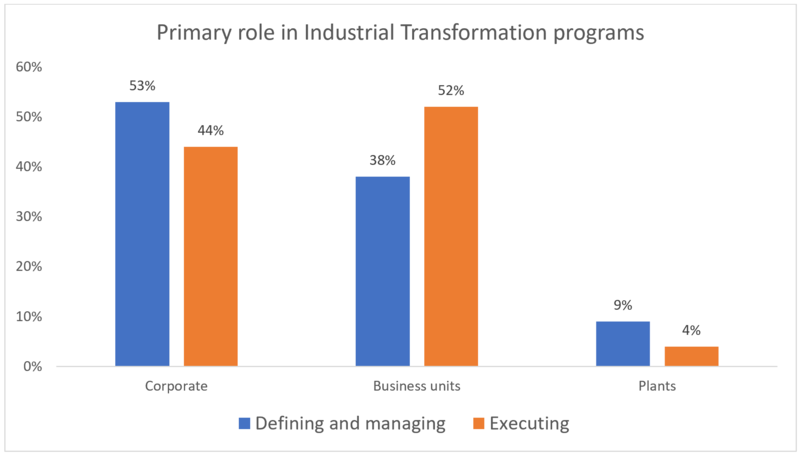 Industrial Transformation is now a key focus for industrial enterprises with 45% of industrials already engaged in IX with another 23% of companies expecting to kick off their programs within one year. In analyzing the survey responses, we were able to separate the winners. 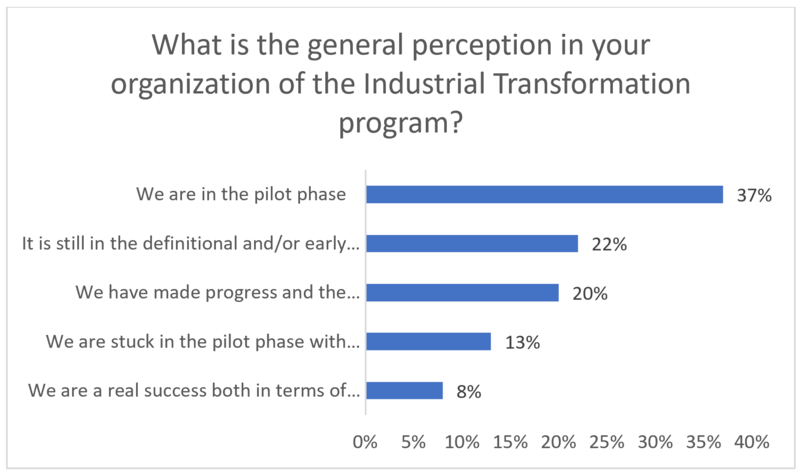 When asked about their IX program 8% of companies describe their program as a “real success” and another 20% report they are making “progress and the corporation is seeing the value.” These two groups combined are our Industrial Transformation Leaders (“IX Leaders”). “Followers” were those companies that said they were in the definitional phase, pilot phase or “stuck in” pilot phase. When we analyze the programs of IX Leaders and Followers, we were able to identify five best practices and four “organizational disconnects” in IX programs. Here we want to correlate some of those best practices and all of those disconnects to identify the importance of “real commitment” to IX for program success. Executive support is critical but not enough. IX programs must engage early and often with operations personnel for success. Transformation does not come from technology, but rather from process changes empowered by collaborative technologies. Understanding the power of technology to enable change is essential but cannot be the organizing principle of the IX program. When looking at technology, watch with a wide-angle lens. Despite the hype, Industrial Transformation is not being driven by Industrial Internet of Things (IIoT) alone. Leaders are looking at many technologies including bleeding edge technologies and more mundane systems to fill in their system gaps and to re-architect their business processes. Leaders are building on a strong operational technology (OT) and IT foundation with best-in-class systems deployed widely. If you do not already have a strong OT and IT foundation, this may be your most crucial transformational opportunity. The most powerful trend highlighted across many questions was that Leaders were doing “More” in any number of dimensions. They had a larger functional scope, broader focus, and more breadth to their teams. They were focusing on their suppliers and customers in addition to their employees. They were deploying significantly more technologies, generally more IIoT technologies. They were jointly funding more initiatives/solutions. What these five best practices have in common: a “real commitment” to identify and implement step-change improvements in operations. Real commitment can be seen in The Power of More. It takes commitment to engage so broadly and in so many areas. It can be seen in the Top Down and Bottom Out Approach. It takes real commitment to engage so widely and with so many people that have full-time day jobs already. It takes real commitment to be willing to endure the pain of change in rearchitecting business practices and organizational silos. Corporations must be “all in” if they hope to become IX Leaders. The thread of “real commitment” continues as we examine the four organizational disconnects that hinder IX programs. In looking at these organizational disconnects, one must wonder about the “real commitment” many industrials have to IX. When LNS talks to operations personnel and asks about executive commitment to IX, we often get an answer similar to: “the execs are saying all the right things, they sound committed, but we will only know when we see the staffing plans – are the best people put on the project – and the budget.” Unempowered CDOs, budget unaligned to goals, and lack of plant engagement are all signs that the “C Suite” may be “talking the talk but not walking the walk” around IX. So, for LNS, the evidence is clear. The best practices and the organizational disconnects both evidence that Industrial Transformation is just like dating: a “real commitment” is critical for long term success.